No, but it is a condition that the responsible person can read and understand the Danish legislation and is able to keep updated on the activities in the area. It is not a requirement that the responsible person resides in Denmark. However, the person must be at the company regularly and to an adequate extent with due consideration to the company's activities. What should be described in the quality system as a minimum? Procedure for temperature measurement etc. Moreover, the company should consider any quality risks and the need for a change control system, relevance for hygiene procedure, qualification and validation of equipment and description of IT systems. If these activities are considered to be relevant, procedures must be established for the activities in question. In connection with transportation, a risk assessment of the delivery routes should be made and if non-dedicated vehicles are used, procedures should be in place to ensure that the quality of the medicinal products will not be compromised. Procedures for emergency deliveries should also be considered. Please note that the above list is not exhaustive, but for guidance only. The scope of a quality system should always match the scope of the company's activities, its size and complexity. Consequently, an evaluation of the company's need for procedures should always be made on the basis of the rules of the executive order on distribution of medicinal products and the GDP guidelines. Handling of medicinal products requiring special conditions should also be taken into account. The procedures and organisation chart must be dated and signed by the responsible person, and version control by adding a number should be applied, if relevant. The responsible person may delegate the duty to sign for certain procedures to other people, where appropriate. The delegation must appear from the procedure for the control of documentation. Job descriptions must be dated and signed by the responsible manager and the respective employees. There are no requirements as to how the above procedures are structured (whether one or more procedures are merged) as long as the issues are comprised by the quality system. If a company has outsourced activities, a contract must be made between the parties. Outsourced activities must comply with the requirements of section 33 of the Danish GDP order. For more information, see chapter 7 of the GDP guidelines. What should appear from a contract? If a company outsources activities, there must be a contract between the contract giver and the contract acceptor. This contract must meet the requirements of section 33 of the Danish GDP order. It must be clearly specified which companies have entered into the contract. The contract must be signed by both parties. If the contract acceptor is located in another EU/EEA country and holds authorisation issued in accordance with the legislation of another EU/EEA country, the contract must reflect any additional requirements laid down in section 33 of the Danish GDP order. The contract must describe the division of responsibilities and tasks in such detail that there will be no doubt about the division of responsibilities and tasks. A matrix may be used for this purpose (table of the division of responsibilities and tasks). In this way, the contract giver ensures that the contract acceptor will perform the agreed work. The Danish Medicines Agency will carry out inspections and randomly control that the contracts meet the requirements. Consequently, the company is expected to show where in the contract the above requirements are included during an inspection. How often should a company audit its contract acceptor? The Danish Medicines Agency expects that a company audits its contract acceptors. The frequency of contract acceptor audits should be determined on the basis of a risk assessment that should be documented. The Danish Medicines Agency does not stipulate that contract acceptors should be audited for GDP purposes at regular intervals; however, this should be considered by the company. The Danish Medicines Agency will randomly review the risk assessment on inspections. What are the expectations of the Danish Medicines Agency to the performance of the management review and monitoring? The management review and monitoring are new in relation to the previous GDP guidelines. A procedure for management review and monitoring must be available (GDP guideline 1.4). The management review should be performed in light of the company's level of activity, size and complexity. Does a transportation provider need an authorisation for wholesale distribution of medicinal products? A transportation provider that only transports medicinal products does not need an authorisation for wholesale distribution of medicinal products (a section 39 authorisation). Nor is a section 39 authorisation required if the medicinal products are not transported directly from A to B, but are carried e.g. via a transportation hub and stored for a short period (for example during the weekend). Any unpacking or repacking of the medicinal product during transportation must not take place. It is the responsibility of the supplying wholesale distributor to ensure that the medicinal products are transported in compliance with the good distribution practice (GDP). Thus, the supplying wholesale distributor must ensure that the medicinal products are protected against breakage, adulteration and theft, and that temperature conditions are maintained within acceptable limits during transport. The supplying wholesale distributor must therefore ensure that own transportation and/or the transportation provider used comply with this practice. The requirements applying to transportation are described in Guidelines on Good Distribution Practice of medicinal products for human use chapter 9. Should a wholesale distributor audit the transportation provider? It is the responsibility of the supplying wholesale distributor to ensure that the medicinal products are transported in compliance with the good distribution practice (GDP). This must be agreed in a contract between the wholesale distributor and the transportation provider. The wholesale distributor must assess whether the contract acceptor has the competence required to carry out the agreed work. This can be done by auditing the transportation provider. It is not a requirement that the wholesale distributor audits the transportation provider. Can a manufacturer transport its medicinal products at temperatures outside the temperature conditions specified on the outer packaging? In general, medicinal products should be transported under the temperature conditions specified on the outer packaging. If the original site of manufacture can provide stability data that the medicinal product, within a fixed time limit, can tolerate storage at higher or lower temperatures than the temperature conditions specified on the outer packaging of the product, it is acceptable that the transportation takes place at a higher or lower temperature. The original site of manufacture must be able to provide documentation that the transportation was acceptable. Only this documentation from the original site of manufacture can form the basis for the medicinal product being considered as a saleable product. This is only accepted for the transportation of the medicinal product handled by the original site of manufacturer. Transportation of the medicinal product between other wholesalers must take place at the temperature specified on the outer packaging. Is ”type qualification” of equipment and ”worst case validation” of processes acceptable? The company should identify which qualifications of key equipment and/or validation of central processes are required to ensure correct installation and operation (GDP guideline 3.3.2.). In general, the Danish Medicines Agency does not accept ”type qualification” or ”worst case validation”. If, in special circumstances, a company wishes to use ”type qualification” or ”worst case validation”, the company should make a risk assessment to evaluate whether this is acceptable. Documentation for the risk assessment must be provided. Should the responsible person be continuously contactable? According to section 31 of the GDP executive order, wholesale distributors are obliged to introduce an effective system for the processing of complaints, which makes it possible to initiate recall operations of medicinal products in the distribution network promptly and at any time. We expect companies to be continuously contactable to be able to perform a recall, if required. It is not a requirement that the responsible person or the qualified person can be contacted directly. But it must be ensured that the responsible person is informed about any enquiries that are relevant to his responsibilities, and the company should have relevant procedures for how to handle such calls. We also expect that contact details are made readily available to citizens as well as the Danish Medicines Agency. If the company can be contacted on a special phone number outside opening hours, we expect that a call to your main phone number will inform about the possibility to call the relevant phone number. Any unanswered calls should be returned as soon as possible. Which medicinal products should be physically segregated (GDP guideline 3.2)? Which stock rotation principle should be used (FEFO/FIFO)? 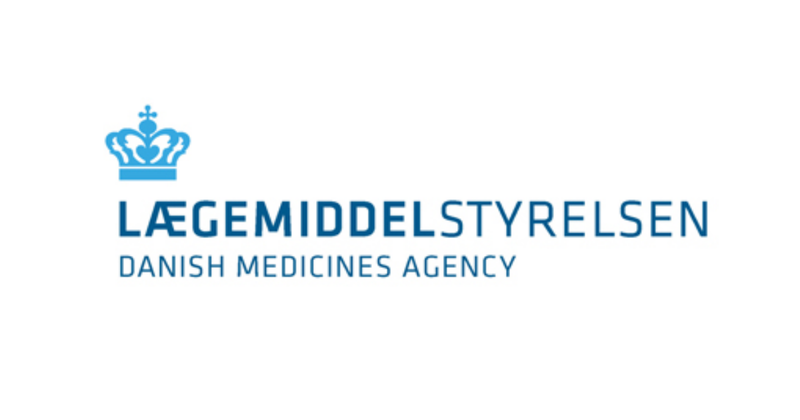 The Danish Medicines Agency expects that stock rotation is managed by the company. Generally, the First Expiry, First Out principle (FEFO) is recommended. The First In, First Out principle (FIFO) is also accepted. When should stock inventories be performed according to the Danish Medicines Agency? Taking into account the national legislation for euphoriant substances, stock inventories should be performed for products containing euphoriant substances as a minimum every quarter, see section 17 of the executive order on euphoriant substances. In addition, an accurate review of received, delivered and distributed veterinary medicinal products must be made every year and be compared to the stocks, see section 30 of the executive order on distribution of medicinal products. Stock inventories of other medicinal products may also be appropriate. Can a self-inspection be replaced by an audit performed by another company? No. A self-inspection must be conducted by the company. It is acceptable that an external expert is asked to conduct the self-inspection but the GDP responsible persons in the company are expected to participate actively. An audit performed by another company, for example a contract giver, cannot be used as a substitute for self-inspection. Should a supplier be audited? It is not a requirement that a supplier must be audited, but a relevant qualification should be made. For more information, see GDP guideline 5.2. Should cleaning companies and pest control companies be audited? No. A service agreement must be made with such companies. These services are not covered by the GDP guidelines, chapter 7 – Outsourced activities. Contract acceptors are considered as companies performing GDP tasks requiring a GDP authorisation (including purchase, sale, receipt, supply and storage). Are there any requirements as to measuring the humidity of stocks of medicinal products? The company should decide by way of a risk assessment whether the humidity should be measured. It should be considered whether the stored medicinal products should be protected against moisture and whether the humidity should be measured. When storing medicinal products in basements, the humidity should be known. For how long should the records for destruction be kept? Records of all destroyed medicinal products should be kept for the same period of time as any other documentation. They should be retained for a period of 5 years (section 29 of the Danish GDP order). When is a GDP certificate issued? Companies holding an authorisation for wholesale distribution will receive a GDP certificate when a satisfactory inspection has been made. GDP certificates are issued from 1 January 2013 and in the future. A company, which is only authorised to manufacture and import medicinal products (GMP authorisation) and which can thereby wholesale distribute own released medicinal products, will only receive a GMP certificate. How is temperature mapping made? When new premises are to be used, temperature mapping must be made. The purpose of temperature mapping is to identify any critical areas of the premises and determine where temperature loggers should be placed to perform a representative continuous daily measurement of the premises (temperature monitoring). Temperature mapping should be made in the summer and in the winter to ensure a stable temperature under worst-case weather conditions. Measurements should also be made when the premises are empty and full. How often should the validity of a supplier's and customer's authorisation be controlled? On receipt and supply to other companies, the company must make sure that the company concerned has a valid authorisation. This should be controlled for each consignment. If the company trades with the same companies, periodic control of the authorisations can be made based on a risk assessment. The reasons for the periodic control interval should be given. This could form part of the qualification of the supplier or the customer (see GDP guidelines 5.2 and 5.3). At the Danish Medicines Agency's website, a list of Danish companies with authorisation is available. The list shows the company name, company number, address, the authorisation number and the date from which theauthorisation is valid. In that way, you can always crosscheck that the authorisation informed by a company is still valid by looking at the date of issue and the authorisation number. Please note that from 1 September 2012 the Danish Medicines Agency no longer issues authorisations with restricted duration. The intention is that GDP authorisations should appear from EudraGMDP. Should a company inform the Danish Medicines Agency if a responsible person is replaced by another person? What should be stated in a control report? "I hereby certify that all the manufacturing stages of this batch of finished product have been carried out in full compliance with the GMP requirements of the EU and [when within the EU] with the requirements of the Marketing Authorisation(s) of the destination country/countries." If the batch certificate is issued in accordance with the EU GMP Annex 16, and the wording mentioned in Appendix II is applied, it will be accepted as a wording complying with the GDP executive order’s definition of a control report. Are wholesale distributors allowed to buy medicines from a company outside the EU/EEA? Answer: No. A wholesale distributor can only buy medicines from a company with a physical presence in the EU/EEA. This also applies if the medicinal products are physically located in the EU/EEA. Only companies holding a Manufacturing and Importation Authorisation in the EU/EEA, which comprises import, are allowed to buy medicines to the EU/EEA market from companies in third countries. Are wholesale distributors allowed to store medicines owned by a company in a country outside the EU/EEA? Answer: No. A wholesale distributor can only store medicines owned by companies in the EU/EEA. The reason is that a wholesale distributor can only store medicines released for the EU/EEA market. Medicines sold by a company from a third country must be released for the EU/EEA market after the ownership has been passed to the EU/EEA company. Consequently, the medicines are not released for the EU/EEA market until this last release has taken place. A wholesale distributor in Denmark wants to be a contract acceptor responsible for receipt, storage facilities and distribution for a Swiss company – is that possible? Answer: No. A pharmaceutical wholesaler can only handle medicinal products released for the EU/EEA. Thus, the medicinal products must be released for the EU and owned by a company in the EU/EEA before the wholesaler can distribute, receive and store the products. Can a wholesale distributor pay a company in a third country to manufacture his products and then ask a manufacturing company in the EU/EEA to import and release the medicines? No. A wholesale distributor must not own medicines that are imported to the EU/EEA market. This also applies to a manufacturing company that imports and releases the medicinal products to the EU/EEA.